Any way we can save our precious cellular data is welcome! 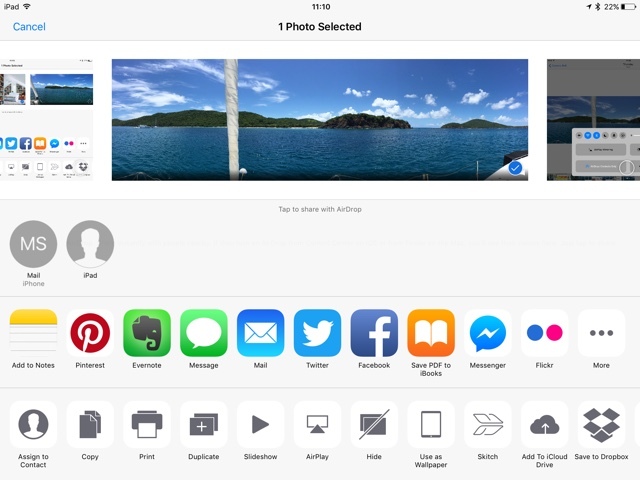 Did you know you can share between Apple devices without using the internet? Nowadays, we tend to text or email out of habit but there is another way, especially if it's a big file (no restriction on file size). 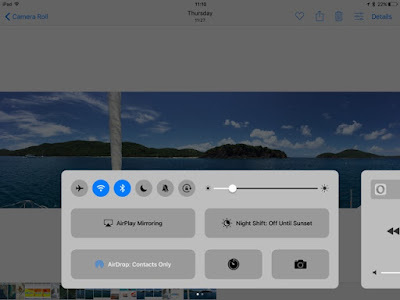 Since Blogger quit supporting their apps, I've been frustrated with getting photos from my iPhone over to the iPad for editing and to insert into the blog (without digging out the power hungry laptop). 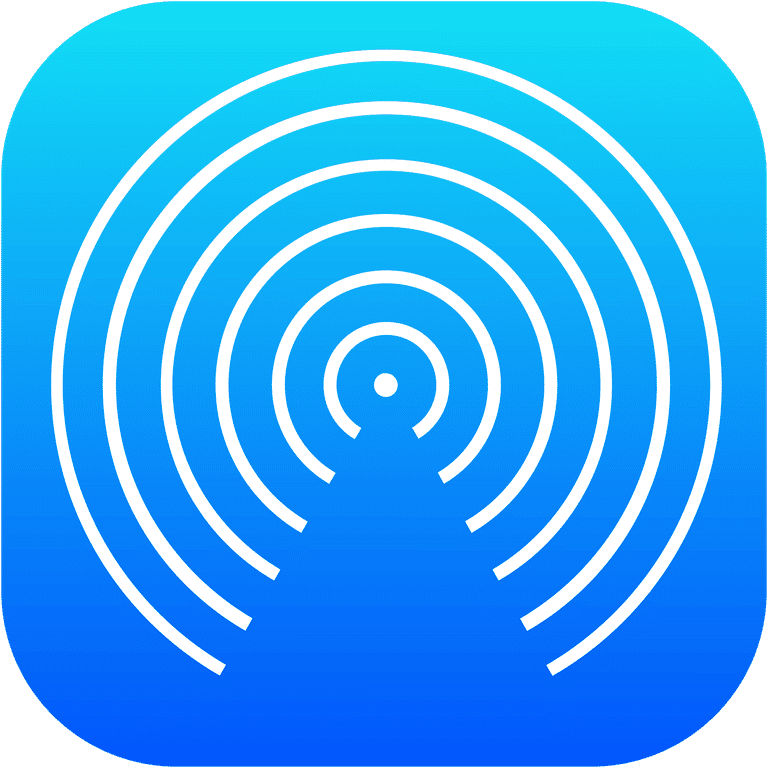 Recently, a friend showed me AirDrop, which transfers photos (and other data) from one Apple device to another over bluetooth. Brilliant. No sucking up precious gigabytes. It's also a way to share without exchanging info ie., that sunset pic for the tourists you just met in a bar. Additionally, it is more secure since it is a peer-to-peer connection vs the internet. Airdrop ON by selecting "Contacts" or "Everyone". (This will also turn on your Bluetooth & Wifi if they weren't already on). Go the item you want to share (a pic, a website, a contact, a note). Press the "Share" button. 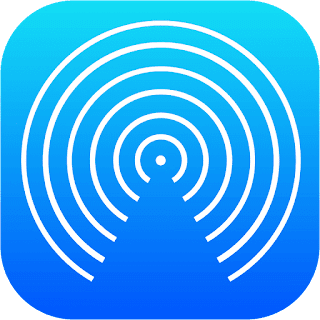 Locate their device: There will be circles at the top (recipient's initials or the pic from your "contacts"), with a header of "Tap to share with AirDrop". Select recipient. 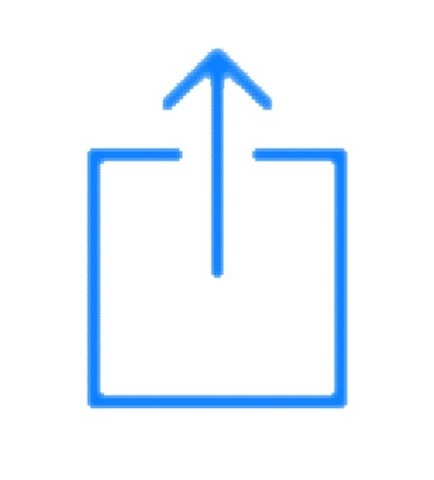 If you AirDrop to yourself (same Apple ID) then you don't have to accept. Sometimes we forget going directly to the source is your friend.